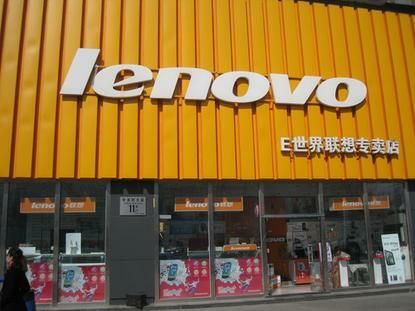 A Lenovo store in Beijing. The Chinese company faced a particularly tough market environment during the second quarter, its CEO, Yang Yuangqing, said. Demand is down for PCs and tablets, and competition in China's smartphone market is cutting into sales. The company reported second quarter earnings that failed to meet its expectations. Net profit declined 51 per cent year over year to reach $US105 million. Revenue increased by only 3 per cent from a year ago, to reach $US10.7 billion. In response, Lenovo has announced cost-cutting measures that will reduce its employee strength of 60,000 by 5 per cent. It is also restructuring its mobile business group, to pave the way for a simpler product portfolio with fewer smartphone models. Thursday's lay offs will help reduce Lenovo's expenses by about $US1.35 billion on an annual basis. The Chinese company will also pay a price to streamline its handset business, and will incur $US600 million in restructuring costs. Lenovo has led as the world's largest PC maker, but it has also been expanding into smartphones and enterprise hardware to increase revenue. This led the company to acquire smartphone maker Motorola Mobility and IBM's x86 server business last year. However, it is apparently taking time for Lenovo to integrate the acquisitions into its overall business. Motorola, for instance, is still reporting a loss and cutting into the company's earnings. Lenovo said the job cuts and restructuring will be completed as soon as possible. "We do not make these moves lightly," Lenovo's CEO said in a letter to employees that the company released. "But we must ensure our long-term success."